The Griffy Woods property is less than one mile from IU Assembly Hall and encompasses a great deal of landscape and biological diversity. The 185-acre site is adjacent to the City of Bloomington's Griffy Lake Nature Preserve and the Indiana University Championship Golf Course. The property contains both public recreational areas and private research sites. A diversity of successional stages, ranging from old fields to mature forest can be seen in different parts of the property. This Preserve property also includes University Lake. 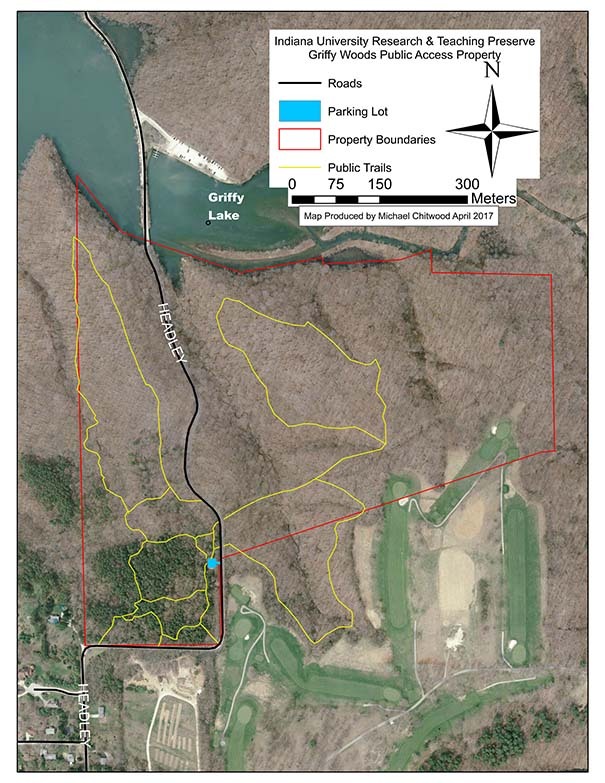 Map of Griffy Woods property open to the public. 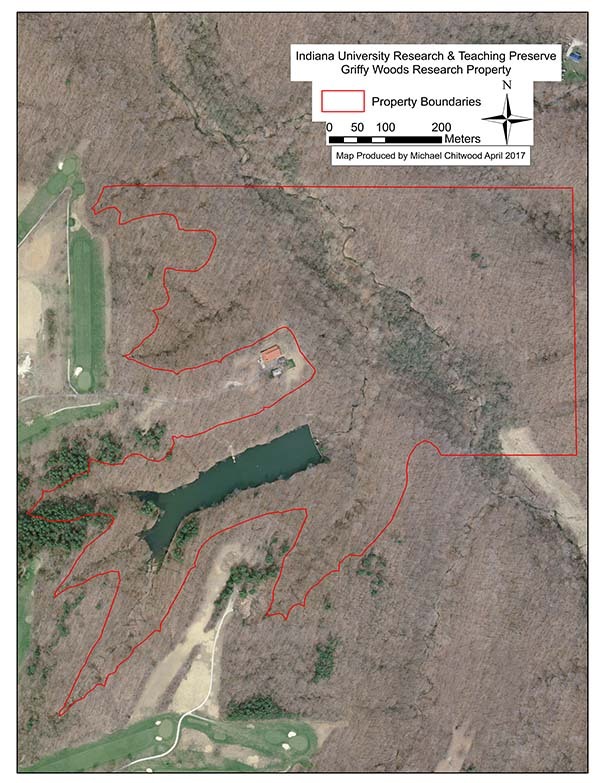 Map of private, research area of Griffy Woods property. If you are interested in teaching at this site, fill out a Teaching Activity Survey. If you are interested in researching at this site, fill out a Research Activity Survey. If you are interested in volunteering at this site, contact us here. If you'd like to access data available on this site, check out our databases.